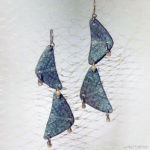 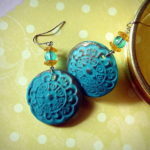 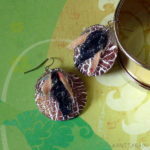 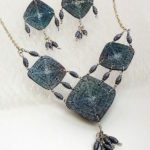 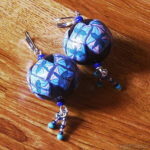 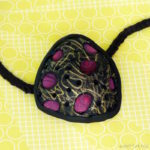 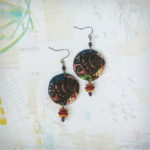 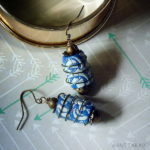 Earrings that feature hollow polymer-clay focal beads with a cane-based, mirrored pattern. 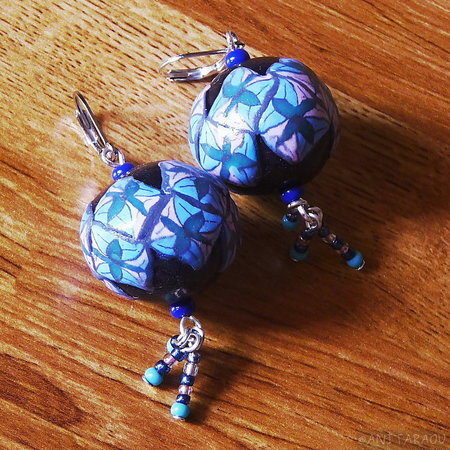 Lovely cane work! 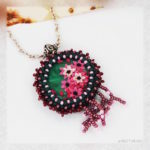 Very pretty design.